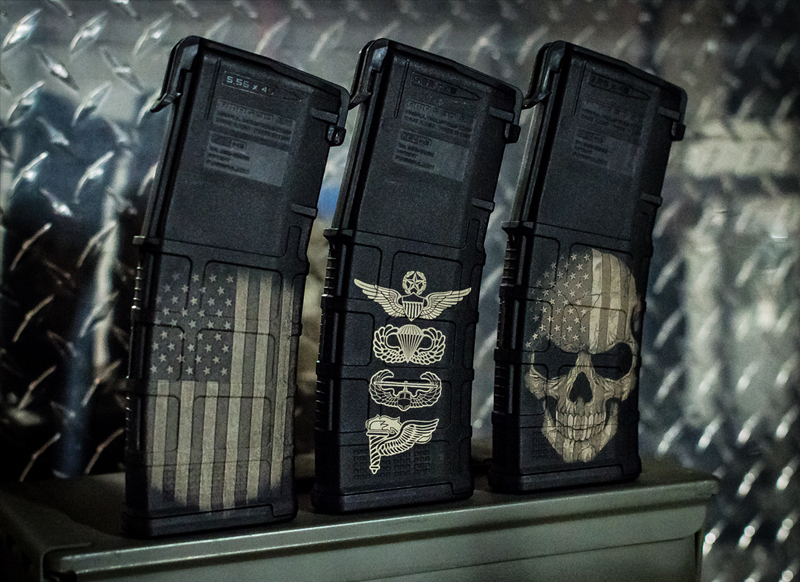 From pistol slides, to AR-15's and accessories we can engrave just about anything firearm related! 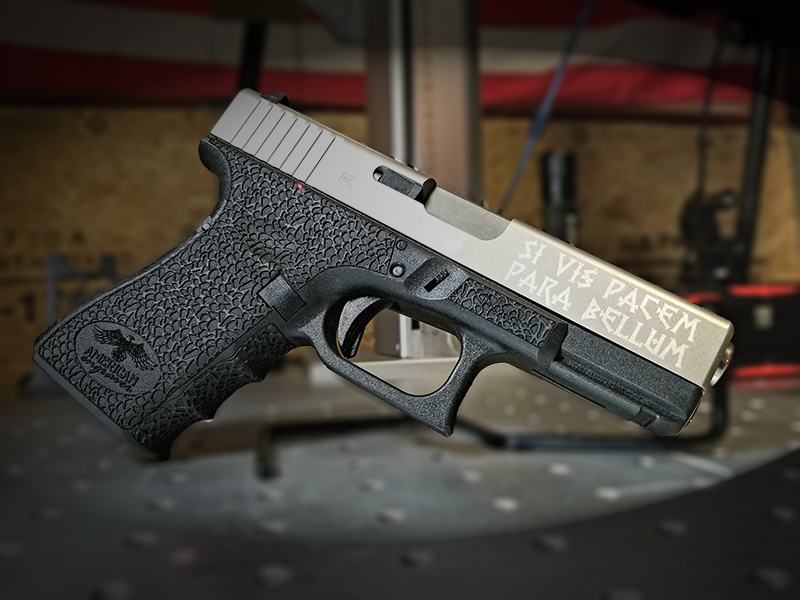 American Engraver uses State-Of-The-Art equipment for laser engraving and design. Self-taught and we don’t play by the rules! 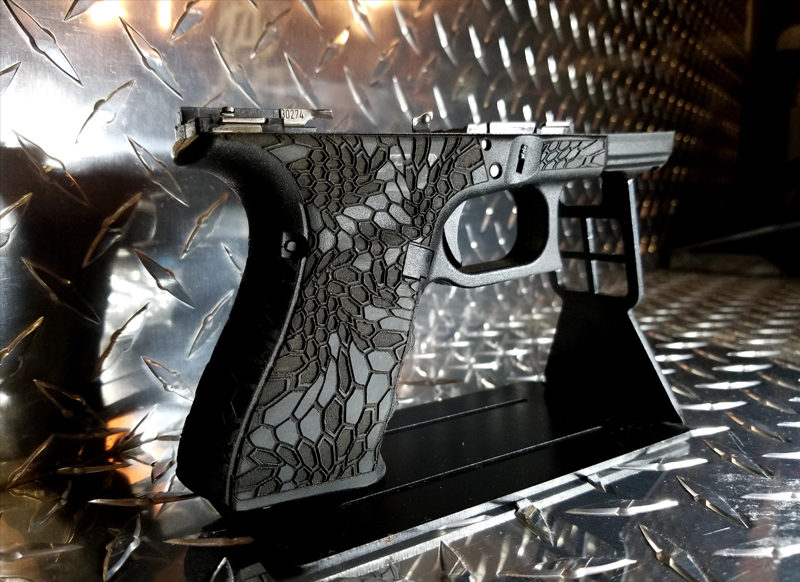 We can assist manufacturers in their design concepts, gun shop owners wanting to add that extra service to their shop, and even individuals just wanting that awesome touch on their personal firearm. 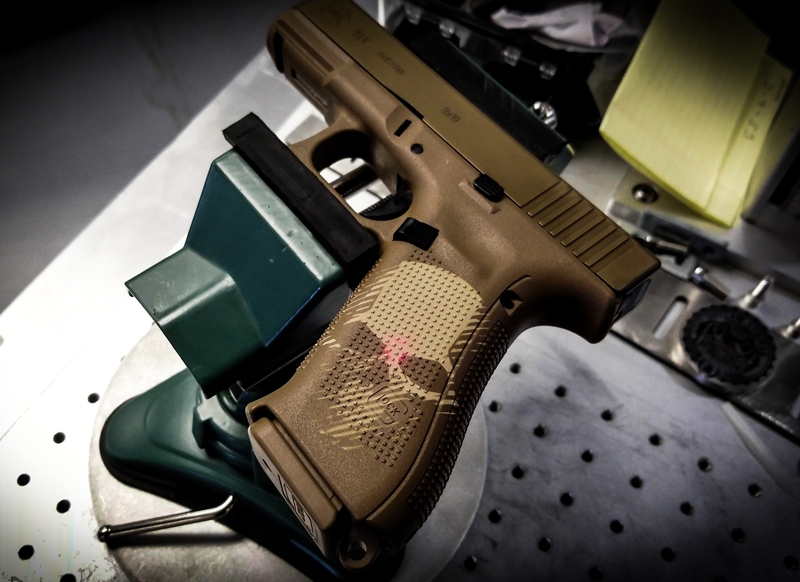 We can accommodate just about anyone with their firearms from airsoft to the real deal! 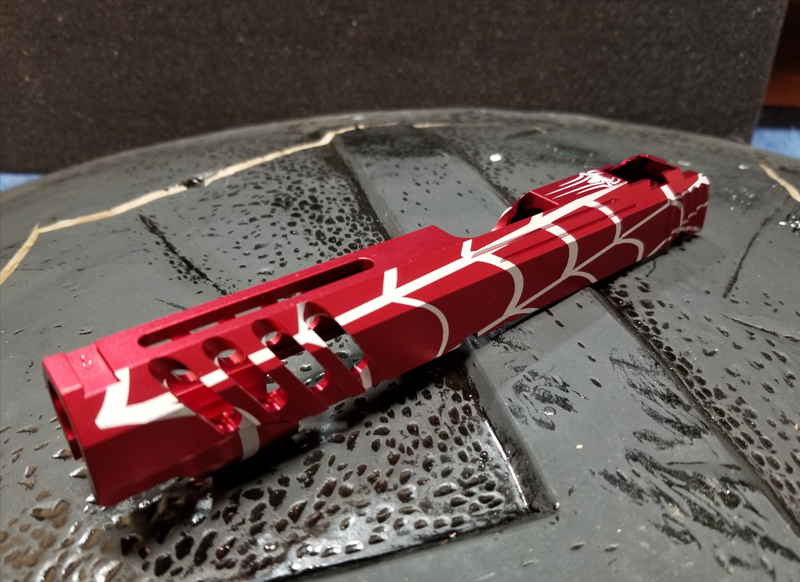 Now remember, we don’t just do firearms and knives. If you have a great idea and want to know if it can be done. Use the “Get Quote” button to contact us. We will take on any job!